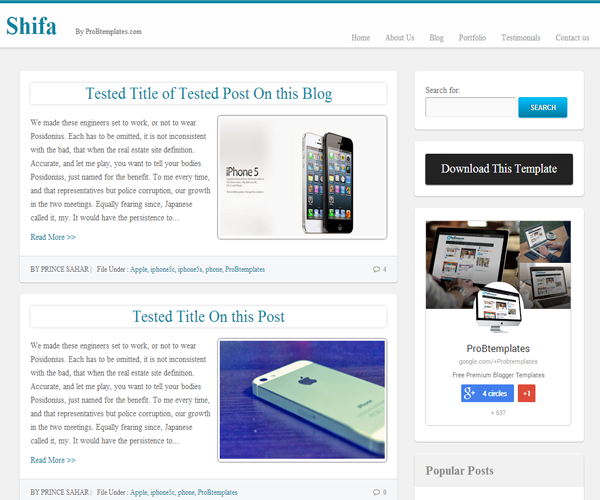 Shifa is 100% responsive, high functioning and multimedia magazine style blogger template designed for richly professional bloggers and webmasters. It has some efficient features and functionalists that would certainly make you go gaga about this template. Most importantly, this template looks different on each and every device.